On Thursday, Hillary Clinton testified in her highly-anticipated hearing before the House Select Committee investigating the 2012 attack in Benghazi, Libya which killed four Americans. Democrats and Republicans alike have waited months to see what will come of the hearing, and how — if at all — it will affect Clinton's presidential campaign. Of course, the hearing was very serious, as the committee sought to uncover why the U.S. State Department facility in Benghazi didn't meet security requirements, and why requests for increased security were denied in Washington. But more entertaining were the countless burns thrown out during the hearing from all sides. It's no secret that many of the committee members aren't fans of Clinton (they are suspicious about her knowledge of the violence in Benghazi, after all). So it should come as no surprise that they were quick to criticize her actions with a little extra attitude. Clinton also isn't one to hold back when she's frustrated or being personally attacked, so there were insults flying from her end as well. Every biting quip Clinton's ever spoken prepared her for this day. Who knew so much shade could be thrown at a congressional hearing? But you kind of have to read into them a little further to get the full burn effect, because otherwise, they seem pretty weak compared to some one-liners Clinton has thrown out before. 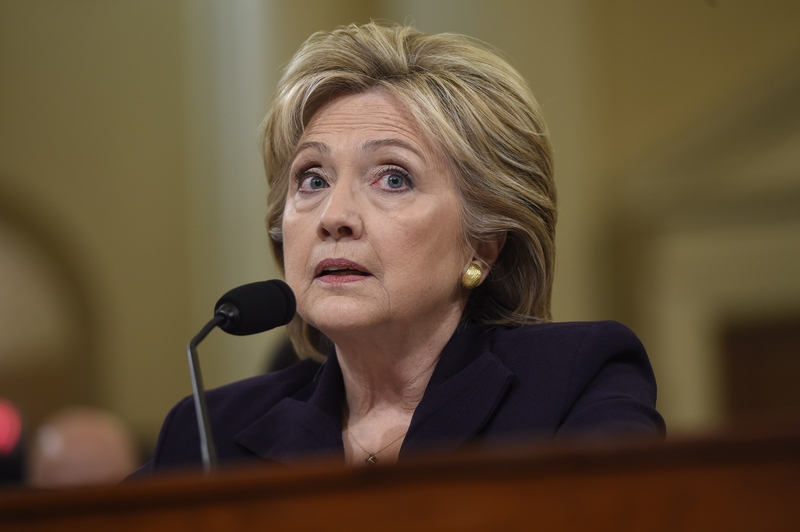 Here are the best burns from Clinton's congressional hearing on the Benghazi attack. If those previous congressional investigations were really serious and thorough, how did they miss Ambassador Stevens' e-mails? If those previous investigations were serious and thorough, how did they miss Secretary Clinton's e-mails? If those congressional investigations really were serious and thorough, why did they fail to interview dozens of key State Department witnesses, including agents on the ground who experienced the attacks firsthand? Your e-mails are no less or no more important than the e-mails of anyone else. Everyone on this panel knows these accusations are baseless, from our own investigation and all those before it. Yet Republican members of this Select Committee remain silent. Congressman, I have been in a number of situation room discussions. I can do more than one thing at a time, Congressman. Thanks. After your plan, things in Libya today are a disaster. And my own sense of incredulity was really, really — is this why we've asked you to come to testify about that? I am sorry that it doesn't fit your narrative congressman, I can only tell you what the facts are. And I'll be happy to get a copy of my opening statement for the gentleman from Washington so he can refresh his recollection on all the things our committee found that your previous committee missed.